President of Rwanda Paul Kagame (left) and then Chinese President Hu Jintao (right) inspected a People’s Liberation Army honor guard outside the Great Hall of the People in Beijing at the start of Kagame’s six-day visit to China, May 14, 2007. Quartz’s Africa correspondent Lily Kuo recently returned from a reporting assignment to Rwanda where she discovered a very different side of China’s engagement in Africa. 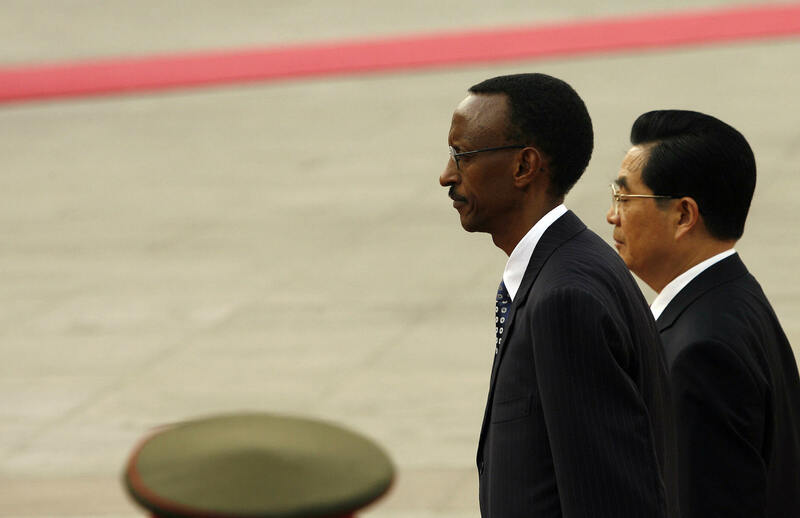 Rwanda lacks many of the resources and large markets that other African states use to attract Chinese investment. Lily joins Eric and Cobus to discuss why Rwanda is becoming an increasingly popular destination for Chinese money and migrants.